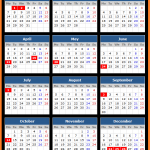 Check Quebec public holidays for the calendar year 2019. 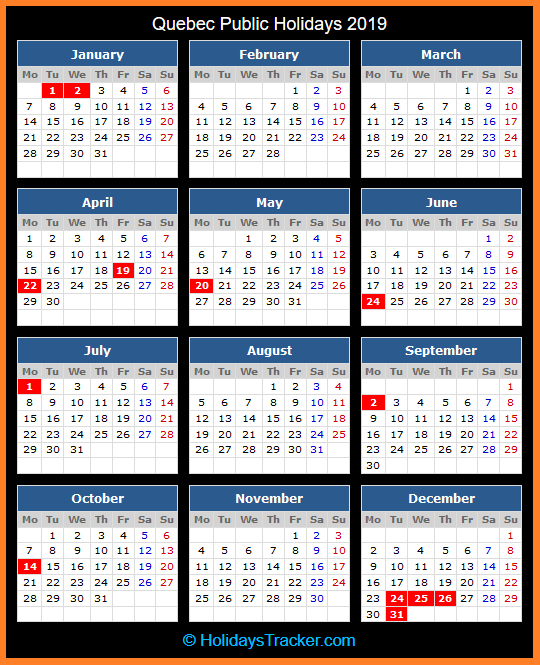 Find 2019 holidays dates in Canada for New Year’s Day, Good Friday, Easter Monday, National Patriot’s Day, Québec National Holiday, Canada Day, Labor Day, Thanksgiving Day, Christmas Eve and Christmas. When a statutory holiday falls on a Saturday or a Sunday, it is automatically moved ahead to the previous Friday or deferred to the following Monday.